0 calories per tablet. Suitable for vegetarians.Click it, drink it, taste it... enjoy it! Every tablet of sweetener has a delicious sweet taste with no calories. 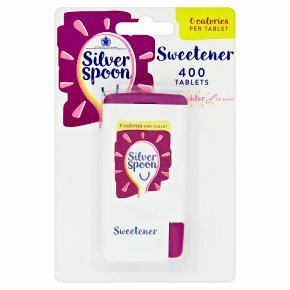 One sweetener tablet has the equivalent sweetness of a teaspoon of sugar. It's ideal for sweetening tea, coffee and other hot drinks.